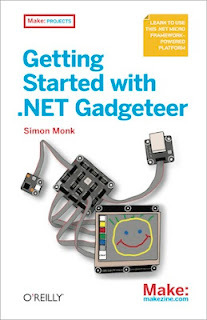 My book 'Getting Started with .NET Gadgeteer' has just started shipping - at least at Amazon.com. Its a short book, designed to get you started and then lead you into a few projects, to explore some of the features of this interesting platform. Here are some details of the projects. More information as well as downloads can be found at the books official website.